The Casio 44 Key Mini Keyboard in Orange Was $70 Now Only $39.99! 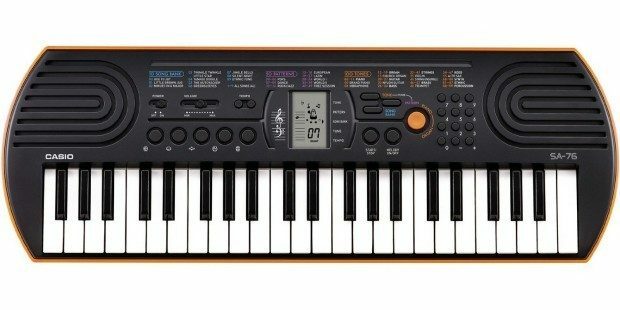 You are here: Home / Great Deals / Amazon Deals / Casio 44 Key Mini Keyboard, Orange Was $70 Now Only $39.99! Casio 44 Key Mini Keyboard, Orange Was $70 Now Only $39.99! Here’s an inexpensive way to determine if your kids will take to piano lessons! Head over to Amazon and order the highly rated Casio 44 Key Mini Keyboard in Orange Was $70 Now Only $39.99! Shipping is FREE!